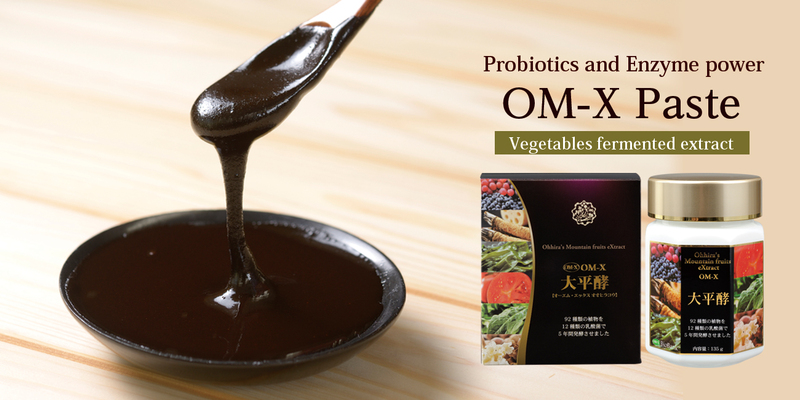 Dr. Ohhira’s Probiotics OHHIRA-KO is a fermented paste that is a combination of vegetables, fruits, seaweeds and mushrooms naturally fermented with a mixture of 12 kinds of probiotic strains. Dr. Ohhira’s Probiotics OHHIRA-KO bottles the same paste to our anchor product Dr. Ohhira’s Probiotics OM-X with a five-year fermentation process. Both products derive benefits from seasonal ingredients that were enhanced through the fermentation with the 12 strains and maturation periods. Not only a variety of nutrients and a highly functional brownish pigment composition in the fermented paste, but also three bio approach: probiotic approach (delivering those probiotic strains live to the intestines), prebiotic approach (cultivating coexisting bacteria in the intestines), and biogenic approach (beneficial substances produced by probiotic strains) work together to enrich Dr. Ohhira’s Probiotics OHHIRA-KO. This allows you to experience the maximum native benefits resulting from fermentation. There is absolutely no heating process during the manufacturing of Dr. Ohhira’s Probiotics OHHIRA-KO. In recent years, there are many other fermented food and enzyme drinks that were produced through heat processing. Unfortunately, valuable nutrients are damaged and the friendly bacteria are killed by the application of heat. Dr. Ohhira’s Probiotics OHHIRA-KO is manufactured by a traditional natural fermentation technique which does not apply heat during the fermentation process and maturation periods. 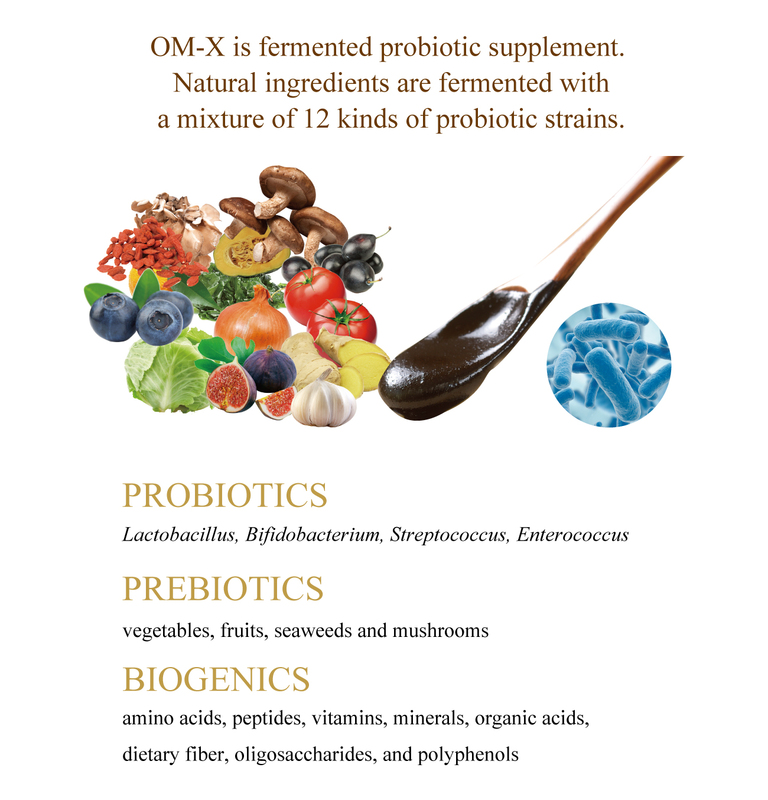 Therefore, probiotic strains remain and valuable nutrients produced through the fermentation periods are not destroyed. After going through 5 years of an uncompromised fermentation and maturation process, our own fermented paste Dr. Ohhira’s Probiotics OHHIRA-KO is carefully bottled directly at our own factory. Thus, probiotic strains and native benefits resulting from fermentation found in this product do not undergo any extra processes. In order to keep the freshness of the paste just drawn from the fermentation tank, this is produced on order. We receive feedback from our long-term users of Dr. Ohhira’s Probiotics series saying that they want to take our product in greater portions. A spoonful of Dr. Ohhira’s Probiotics OHHIRA-KO measures 2～5g. This is equivalent to 5～10 capsules. 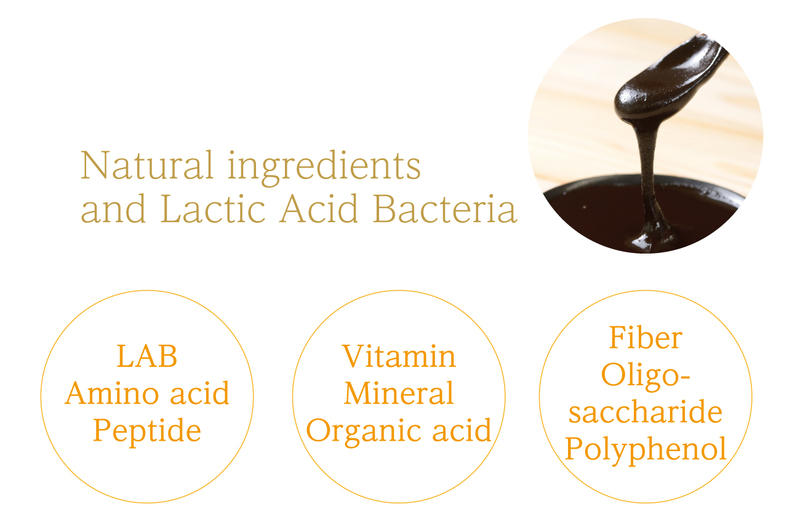 There is abundant plant material from the land and the sea, and many different varieties of living lactic acid bacteria and bifidobacteria in this fermented paste. You can fully feel benefits from fermentation by just one spoonful of Dr. Ohhira’s Probiotics OHHIRA-KO.